In the Asian entertainment world, Kim Lee is a name that’s impossible to leave out. Her huge success as an international model has fuelled her to branch out into other fields of entertainment. Currently, she is paving her way as an equally – if not more – successful DJ. Many used to call her the Asian Kim Kardashian, which she says is a compliment. She’s getting more comparisons to Kylie Jenner now though, and there’s undeniably a striking resemblance. Oh, come on, if that isn’t a doppelganger right there! So what’s Kim Lee’s story? Read on and find out more about how she went from model to DJ. Kim Lee was born in California and she just hit the big three-oh this past May. Her father, Daniel Segal, is French and is also an author of mystery/detective novels, while her mother is Vietnamese. Kim has stated before in an interview with NextShark that she’s very much in touch with her Viet side. Though music was already part of her life, Kim also had a constant desire to try her hand in modeling since she was young. In 2006, she applied as a modeling intern at an agency in Los Angeles. When she got there though, they persuaded her to try modeling instead. This proved to be her first step in the industry. In the same year, she made her runway debut in Paris. The next year, she was at the New York Fashion Week for Marc Jacobs and Cynthia Steffe. As a commercial model, she was in editorials for Maxim, Elle, Vanity Fair, Sports Illustrated, and FHM for a whole ton of countries. She was also a part of the campaigns for DKNY Jeans, Barneys NY, Calvin Klein, Alexander Wang, and Vivienne Tam. That was all within a few years, and those aren’t even all the names – talk about career trajectory! Wanting to expand her reach further, she ventured into film and TV. She landed her first TV debut in a music video called “Rollin’ with Saget”, featuring Jamie Kennedy, Stu Stone, and Bob Saget. Since then, she’s been in music videos for Katy Perry, LMFAO, Kanye West, Ne-yo, Flo-Rida, and 3oh3. She can also be spotted in commercials for Bud Light and McDonald’s. Kim Lee had occasional small roles in TV shows like CSI Las Vegas, Entourage, and Snoop Dogg’s show Fatherhood. She also landed big-screen roles, starting with the movie Speed-Dating then more notably, The Hangover Part II. 2011 was quite a big year for her. Apart from the above-mentioned role in The Hangover Part II, she was also voted as FHM Singapore’s sexiest woman. FHM Taiwan wanted in on the action, too. Her start as a DJ could a combination of both ambition and luck. She was at a party with the Black Eyed Peas in 2012 and was joking about with apl.de.ap that she wanted to DJ. He offered to manage her, and she jumped at the amazing opportunity. She decided to learn the art and enrolled at Scratch Academy in LA. The management relationship didn’t work out though and eventually, she was on her own. 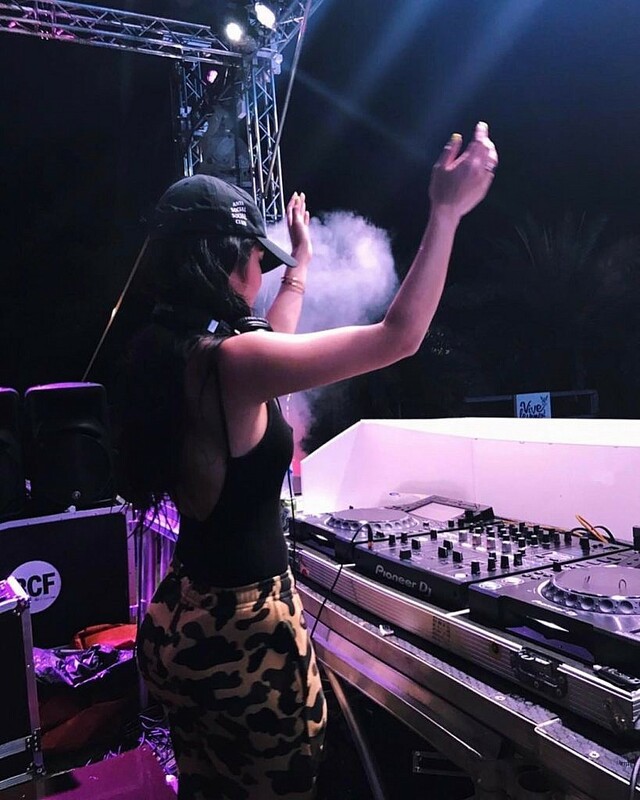 Thanks to the connections she had made on previous projects, she managed to get Kanye West to do a drop on one of her mixes for Sound Cloud. It went viral, and that pretty much shot her to stardom. 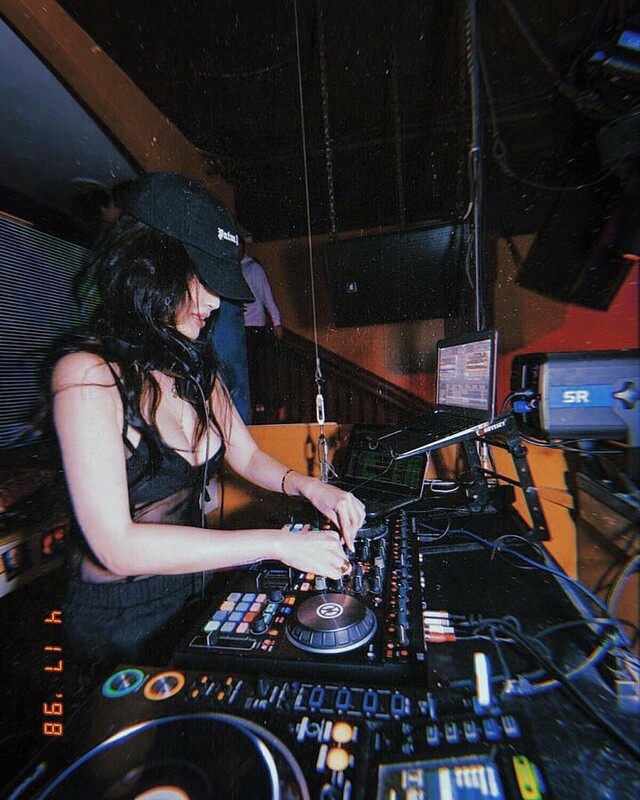 Maybe DJ-ing braless is a thing in Laos? There was a point in her career that she was part of the DJing duo KimKat, with friend Katrina Nova. They were touring the world and were one of the most sought-after female duos in the business. They opened for Steve Aoki during his 2013 Asia Tour stop in Saigon, Vietnam, and they played in Ultra Korea and Ultra China. However, Kim revealed in an interview with Esquire Singapore that they grew apart and eventually had a falling out. She claims that this made her hustle harder in order to succeed on her own. She just released some new music last July, and she also mentioned an ongoing collaboration with fellow artist and friend, Lil Debbie. You can stream or download the collab track here. She’s open to future collaboration with her boyfriend Keith Ape, a South Korean hip-hop artist.